Is it just me or do I need a few more pointy toe shoes and dare I say it, pink pieces in my life? I picked out three different casual smart looks from INC’s International Concepts that are essentially based around those two wardrobe ‘holes’ as I call it. First is the light green pearl-accented sweater that I paired with go with everything black skinny jeans and these jaw dropping t-strap heels. The snake clutch would dress up anything. Imagine holding it over a coat? 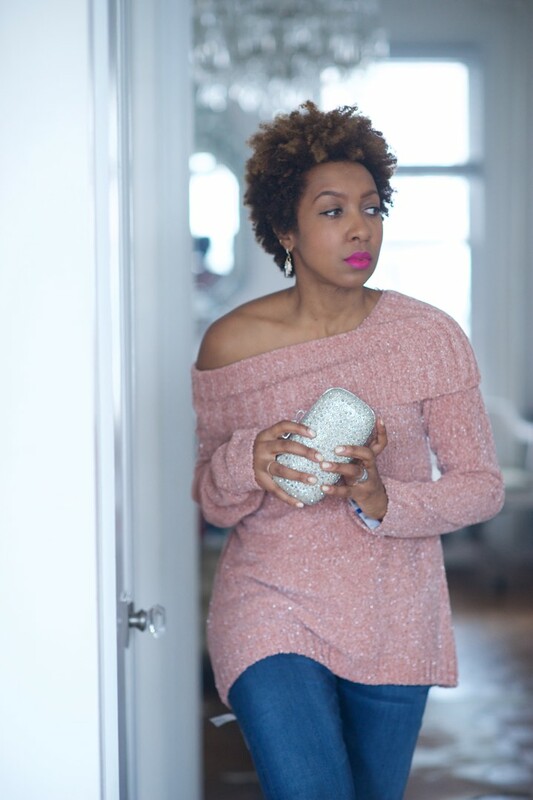 The second look is a cozy dusty pink sweater that I teamed with dark blue skinny jeans and these satin navy sock boots that are ridiculously comfortable. Lastly I tried a pink suede effect jacket with lace up sleeve details. The gold clutch picked up on the warm jacket color and was a nice contrast to the dark denim. This post is sponsored by INC International Concepts, created for Macy’s.